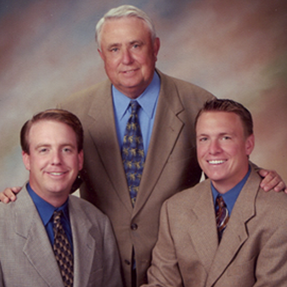 Murphy Family Dentistry continues dental tradition from generation to generation. The Murphy's, Charles Murphy and his brother, started practicing here in Lansing in the early 1900's. It has been continued by Charles sons' Joseph (deceased 1996) and Michael. Michael J. Murphy and his two son's John Michael Murphy and Kevin Raymond Murphy, whom are presently practicing on the west side of Lansing. John Michael Murphy graduated from the University of Michigan in 1993 and Kevin Raymond Murphy, also graduated from the University of Michigan in 2002. Both are current members of the Michigan Dental Association.